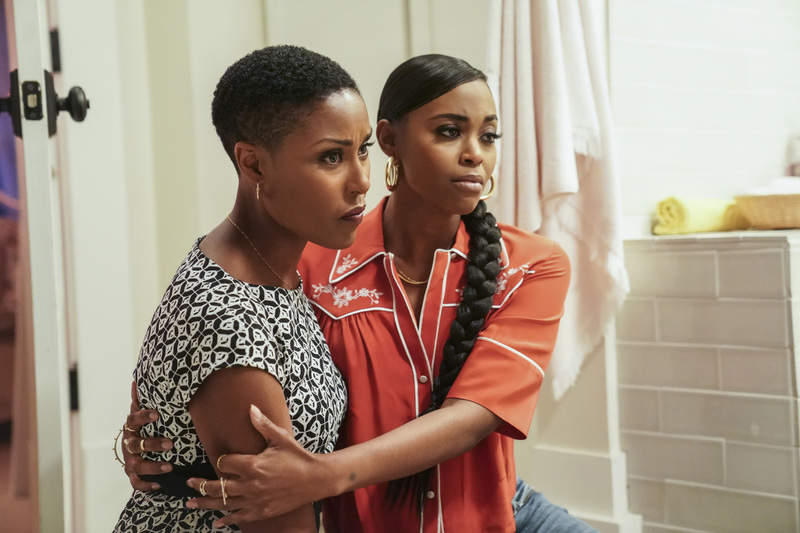 Official photos promoting the Black Lightning Season 2 premiere "The Book of Consequences: Chapter One: Rise of the Green Light Babies"
The CW has released some official promo images for the Season 2 premiere of Black Lightning! ROBERT TOWNSEND, BILL DUKE AND ANGELA RYE GUEST STAR – Jefferson Pierce (Cress Williams) and his family may have survived Tobias’s (Marvin Jones III) attack, but they’re not out of the woods yet. Concerned for the safety of Garfield’s students, the board considers a motion to shut down the school, forcing Jefferson to go to Napier Frank (guest star Robert Townsend) to sway the vote. Jennifer (China Anne McClain) struggles with her powers and her actions have unforeseen repercussions. Meanwhile, Anissa (Nafessa Williams) finds a new way to give back to Freeland. Lastly, Lynn (Christine Adams) continues her quest much to the dismay of Agent Odell (guest star Bill Duke). Damon Gupton and James Remar also star. The episode was directed and written by Salim Akil (#201). Original airdate 10/9/2018. The new photos follow below.